Welcome to our Seasonal Expressions New Product Blog Hop! We will be featuring lots of new goodies from the catalogue, so grab a cuppa and see what beautiful new items are available. If you have come here from Sandy's Blog, you are on the right path! The blog hop is a great big circle, so you can start here and work your way all around. If you get lost along the way, you’ll find the complete list of participating consultants on Melinda’s Blog. This month we have 17 Close To My Heart Consultants sharing their creations using the new products on their blogs. This is simple to do - just click on the link at the end of the post on each blog to move to the next one! Here we go! 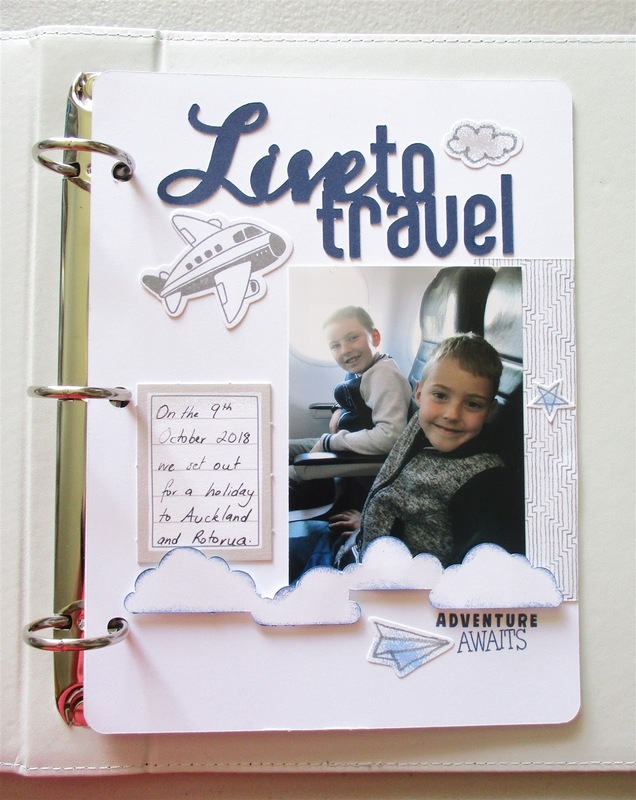 I have just started to make a mini album of a trip I did with my boys over the October school holidays here in New Zealand, and luckily it contains a lot of the new products on the pages! The title page features an adorable little plane, which is from the new Cruisin' to Adventure stamp set and also comes with matching Thin Cuts! The adventure awaits sentiment is also from this stamp set. The star, cloud and plane stickers are form the new Something Fierce collection, as is the strip of patterned paper. The journal box is also from that collection. Lastly, the title and the clouds were cut from my trusty Cricut. I sponged the clouds to make them stand out more. On to the second and third pages! 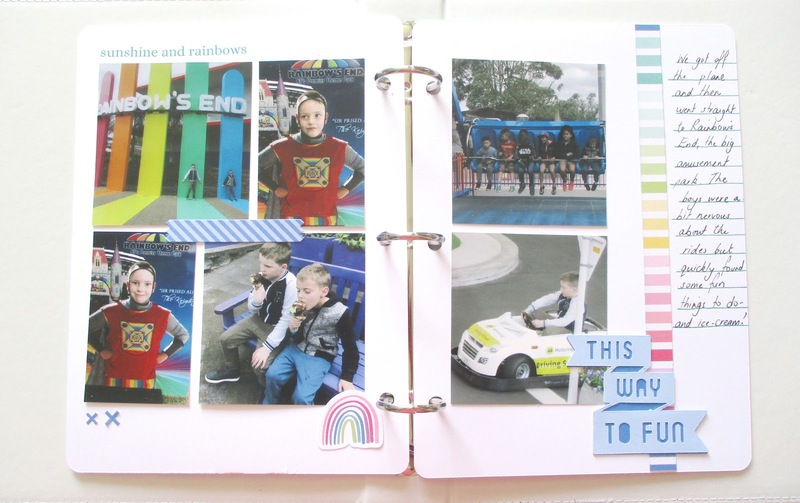 This double page layout is of Rainbow's End, the local amusement park. This was a great opportunity to use some of the rainbow paper and embellishments from the I Heart Us Paper Packet. The washi and crosses stickers are also from that range. I stamped the 'sunshine and rainbows' title from the January SOTM as it worked so well with the theme of this page. Lastly, I cut another title from my Cricut and this page was completed in a matter of minutes. Now "Hop" on over to Katy's Blog to see her work! Be sure to visit all the Consultants at their Blogs to get some great crafting ideas and other fun ideas! LOVE the cover of your album...so absolutely perfect for 'travel'!! FUN pages using our new products! Love, love, love! Cute start to your album. Love this pages. They are just fabulous. Great work. So cute!! Great layouts and a fun album!